After two and a half years of construction, the new Queen's Quay is finally complete. Waterfront Toronto held an official ribbon-cutting ceremony on Friday to mark the reopening of the boulevard. 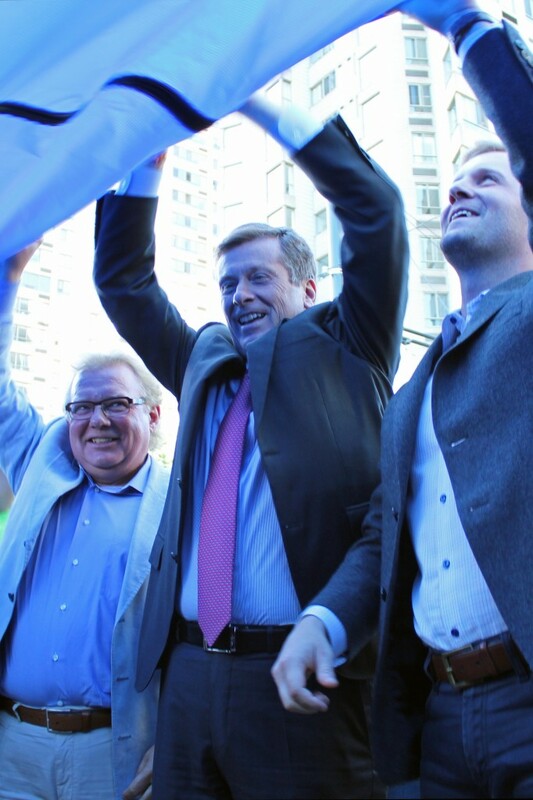 The event was attended by Mayor John Tory, MPP Glen Murray, Waterfront Toronto CEO John Campbell as well as by Queen's Quay residents and business owners. Tory deemed the boulevard a complete street that features a revitalized portion of the Martin Goodmen Trail which is ideal for cyclists. 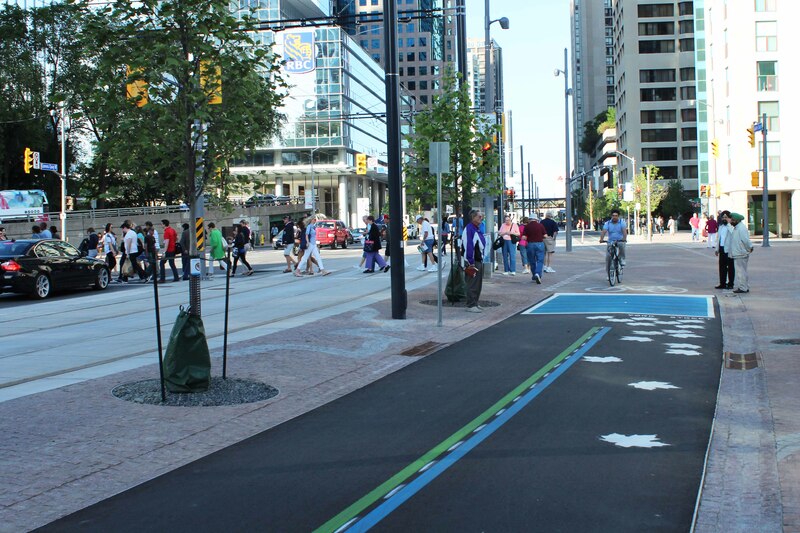 The new Queen's Quay also has wide pedestrian space and a transit right-of-way. 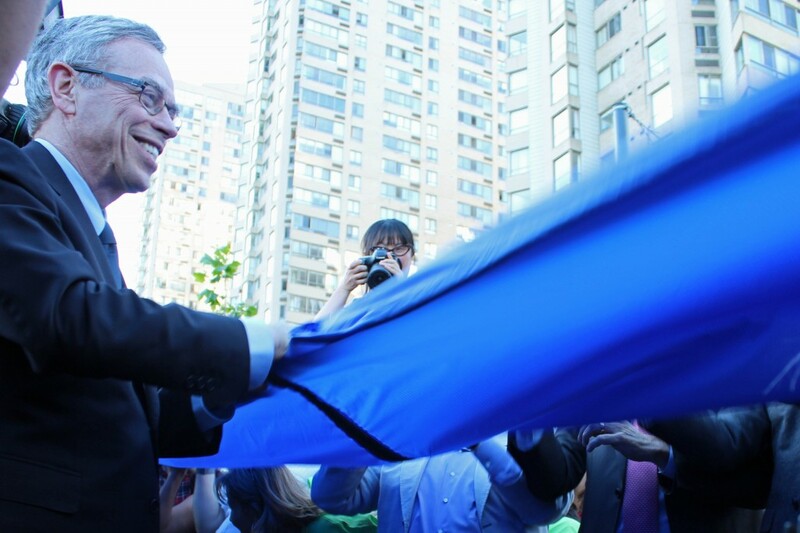 Volunteers held a 650-metre-long ribbon along the length of the street that was cut, or rather unzipped, by Finance Minister Joe Oliver. Now, there's really no excuse not to grab your kids, your grandpa, your pooch or your whole family and ride the waterfront! 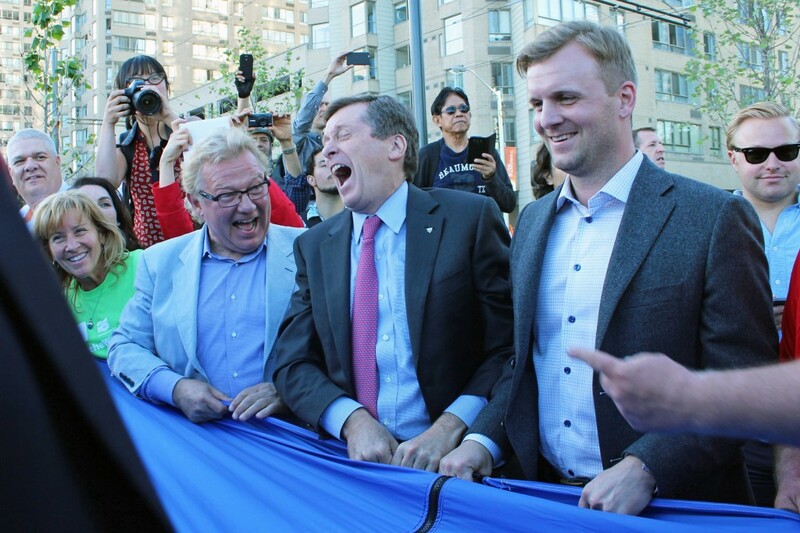 Board Chairman of Waterfront Toronto, Mark Wilson shares a laugh with Mayor Tory and City Councillor Joe Cressy.